I wish that I could just hand you a fork through the screen and let you taste this Mushroom and Truffle Sea Salt White Cheddar Macaroni and Cheese! It literally makes my taste buds so happy that I have the hardest time describing the taste. It’s a rich, sharp and flavorful Macaroni and Cheese that will have you going back for “just one more bite” over and over again! This mac and cheese is a slight adaption from the Black Truffle White Cheddar Macaroni and Cheese that I started making a year or so ago after a trip to Disney! You see, a guy that was working The Spice & Tea Exchange section of “Mickey’s Pantry” in downtown Disney told me about this awesome sea salt called “Black Truffle Sea Salt”. He told me about a white cheddar mac and cheese that he had made before and I scooped up a few little bags of the sea salt right then and there! Oh the smell of the Black Truffle sea salt was intoxicating. I loved it. Well I ran out of the beloved sea salt a while back and found a jar of Sabatino Truffle Sea Salt that had the same wonderful smell! I was in love all over again! The smell, the taste on my word! But as much as I love it I’ve only made white cheddar mac and cheese with it! I’ve never even attempted to put it on anything else haha. It’s only purpose in my home is to make wonderful mac and cheese! Also, it’s a “special occasion” mac and cheese for me! Mac and Cheese Mania is being sponsored by Door to Door Organics and OXO. What kind of prizes do they have in store for you?! I’m so glad you asked! Prizes include: Door to Door Organics Gift Cards, OXO Gift Baskets, Zak Designs Prize Pack, a year’s supply of Cabot cheese, a Vermont Creamery gift basket, a risotto kit from Marx Foods, Barilla pasta, Anolon Advanced Bronze 4.5 Qt. Tapered Stockpot, Rachael Ray Stoneware Casseroval, Wusthof CLASSIC Studio Block Set, Microplane Graters and Kitchen Tools, a SavorX Starter Block with spices and Le Cordon Bleu by Swissmar oven to table roasters. All giveaways open to US residents over the age of 18 only. Ahhh so awesome! 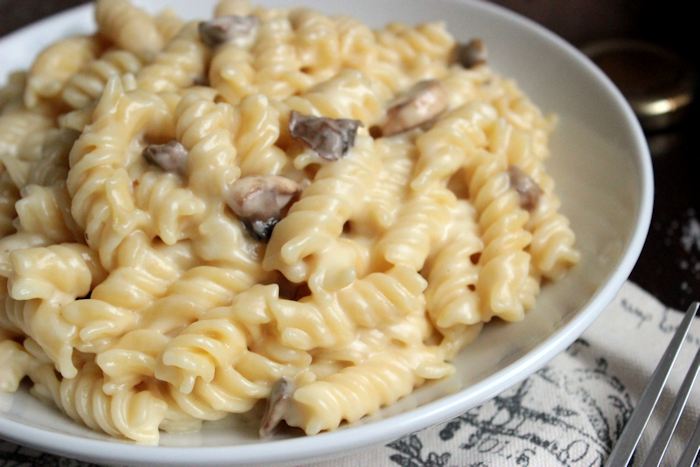 Back to the Mushroom and Truffle Sea Salt White Cheddar Macaroni and Cheese!! I normally just make this with the Sea Salt and white cheddar, but I love to experiment with mac and cheese combinations. So I chopped up a few mushrooms and cooked them with a little of the sea salt before adding them into the mac and cheese! Next time I’m thinking about adding chicken and just making this into a complete meal! I found this bottle of Sabatino Truffle Sea Salt at Whole Foods but I’ve also seen it at Whole Market, Marshalls and TJ MAXX! In a large pot bring water to a boil and cook pasta according to package directions. About 12 minutes. In a sauce pan, heat a tablespoon or two on medium heat. Add mushrooms. Halfway through cooking the mushrooms add 1/4 teaspoon Truffle Sea Salt and stir. Cook mushrooms until done. In a saucepan, heat heavy cream over medium heat until hot. Right before it starts to boil, add grated cheese and stir to melt. Turn the heat down to low and stir cheese until completely melted. Add 1/4 teaspoon Truffle Sea Salt. Stir and taste. Add another 1/4 teaspoon Truffle Sea Salt if you desire a stronger taste. 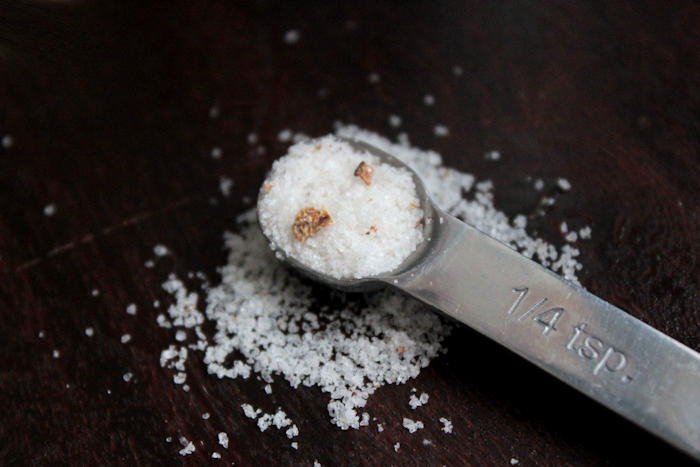 I use 1/2 teaspoon Truffle Sea Salt but the sea salt is STRONG so just season to taste. Next, mix in the pasta and the mushroom. Stir well! Serve immediately. To reheat: Add a splash or two of milk before reheating. Macaroni and Cheese will thickening A LOT when chilled. Before you go, I want to share some of the other “drool worthy” mac and cheese recipes that were made for Mac and Cheese Mania! You’re going to LOVE these! Wow, girl. I SO wish I had a bite of this one right now. I’m obsessed with all things “truffle” lately — looks amazing! oh em gee this looks amazing! 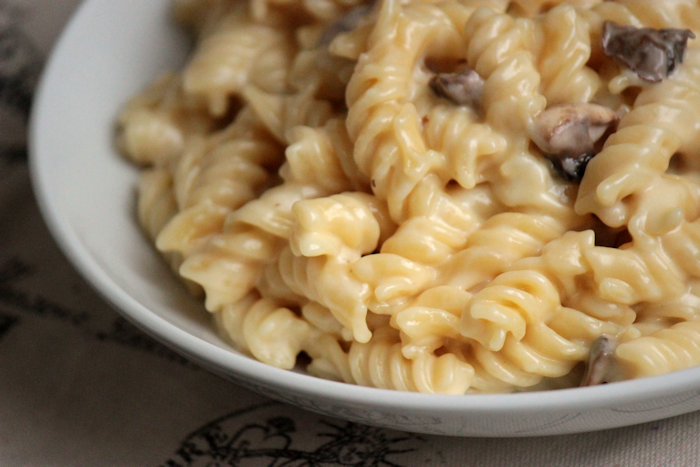 Wow, mushroom & truffle salt brings this mac & cheese a few notches up. Mmmm this mac and cheese looks and sounds divine! I wish I lived closer so I could dig-in immediately! I’d share it with you in a heart beat, Katie!! Oh my gosh!! 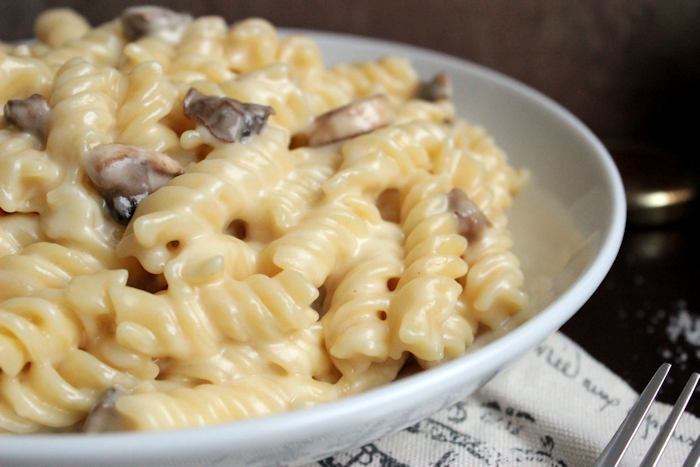 I had never thought about mushrooms in Mac and cheese..I’m sold!! This is delish and nutrish. I love truffle anything, what a great idea to elevater this dish even further. This recipe looks AMAZING!!! Anything with cheese and pasta…I’ll take it. This sounds so good, and boy what a comfort food mac & cheese is. I would definitely try this and I bet it would be devoured in no time! That actually looks really good. I hate mushrooms, but like truffle oil and salt. Weird right?! Maybe it’s their texture then. You had me a mushroom. And then Truffle. Sea. Salt. Where’s my fork? Whoa! This looks delicious. Any left? I’ll be right over! This sounds amazing! I wish I could reach through my screen and have my lunch! oo I wish I could! You’d love it! OMG, I just forwarded this recipe to my wife. EVERYTHING in it is her favorite (I’m not a fungus-lover). This is just heavenly! 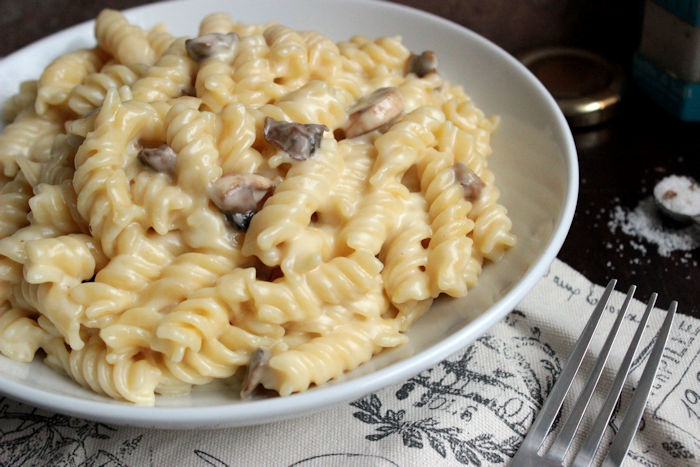 I will never refuse a bowl of truffle mac and cheese and the addition of mushrooms makes it a complete meal! Sounds and looks really tasty i am not 100% on truffles but this may sway me lol. I, too, wish that I could taste this through the screen! 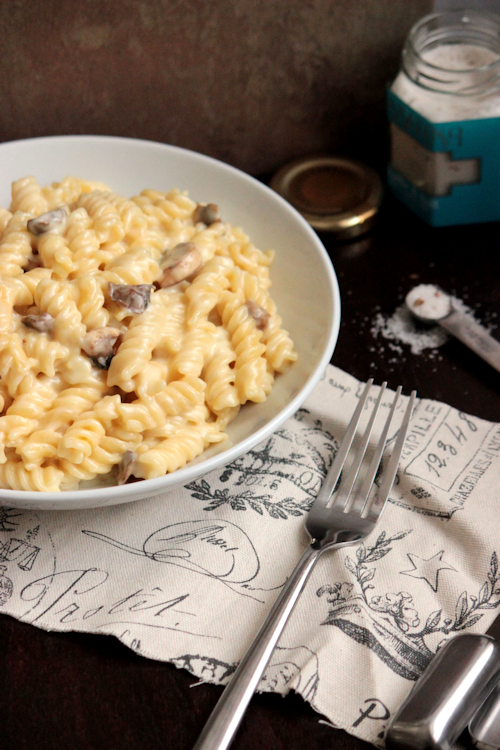 It looks so creamy and I love anything with mushrooms and truffle! yum son would love this dish minus the mushrooms. Sounds like a great recipe. Macaroni with a twist is just what the chef ordered! We are huge on pasta in our house. I like how quick and easy it is to make. I haven’t tried anything like this recipe before. It sounds so good! Going to pin it to try soon! We love pasta too! I could get it all the time! This recipe seems like an adult version of a classic feel good meal item. So creamy! I love the addition of mushrooms! Look at that creamy goodness you’ve got going there. Looks utterly fabulous! 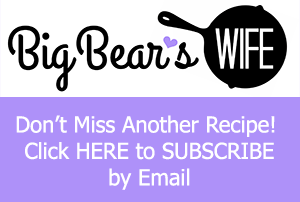 I am bookmarking this, I am hunting down recipes I want to make in my new kitchen when we move – this is going to be a hit – mushrooms and mac and cheese – love it. oh goodness, that pasta looks amazing! We are huge pasta fans, so I’m always looking for a great new sauce to use! Yum! Well if this isn’t the most gourmet mac & cheese I’ve ever seen! This sounds absolutely delicious! My daughter has been asking for mac and cheese and I have to find a dairy free option for her. I would love to adapt this recipe; it looks divine! Sounds and looks delicious! I will have to give this recipe a try! OH MY GOSH! I MUST MAKE THIS! I’m obsessed with truffle salt! Ooh. Mac and cheese is a family favorite here. We’ll probably try every one of these recipes before the year is out. I Pinned this. Looks and Sounds so good! That looks delicious. Pasta is huge in our house too. This looks absolutely delicious. I have two little boys that love mac and cheese and would eat this up. We love Mac & Cheese here! I’ve never tried adding anything to it though. Wow, that’s an awesome list of mac and cheese recipes. I’ll have to start working my way through the list! Oh this just looks so perfect. Cheese definitely makes everything better. This looks really great! My husband is obsessed with sea salt. I’ll definitely look for this kind next time I need it! This looks so yummy! I LOVE mushrooms as garnish for pasta! Mac & Cheese is a favorite in our home. I could eat it for every meal and with that wonderful list you provided, I think it can actually be a possibility. Your recipe looks delicious and the Truffle Sea Salt is intriguing. I never knew it existed! My mouth is literally watering right now. That looks so delicious. We love any kind of pasta and we especially love macaroni and cheese. I like the variety of flavors in this dish. What a delicious meal! Oh truffles and mushrooms on pasta- can’t go wrong! This looks like a pretty simple but tasty pasta dish that even I could make. My sons love mac and cheese so I will be trying yours and some of the others out. Oh my goooosh this looks incredible! Love how glossy and creamy it is! 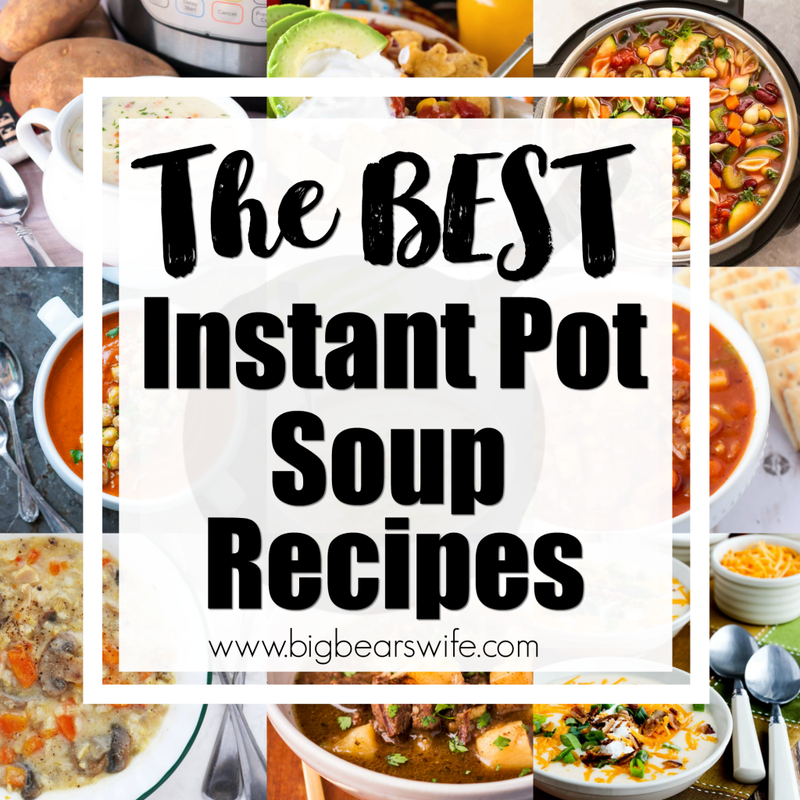 Oh my goodness, what a great list of recipes. I just have to get better about actually using all of these recipes I find. Oh you are killing me over here! This looks like such an amazing dish, I am getting hungry and it’s only 7 AM! LOL! The title makes it sound so fancy! I love mac n chs and will try this out! 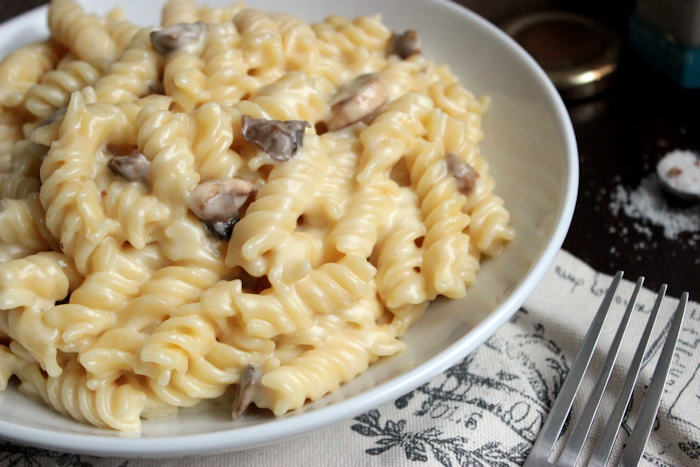 Truffle sea salt sounds absolutely devine as an addition to the classic comfort food: mac n cheese! Yum! 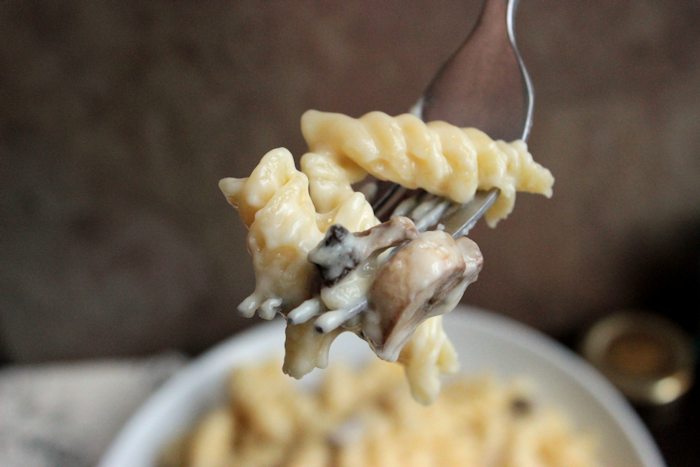 Mac and cheese is one of the only things I like truffle in… there’s just something about it. This is gorgeous! That looks amazing!!! I know my husband would love it too. I don’t do mushrooms, but I love all things mac and cheese! 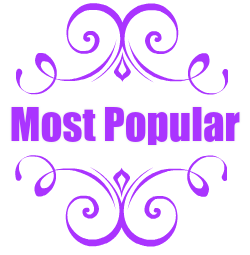 I’ll be checking out that awesome list! Anything truffle flavored I love! This looks delicious! I love all the ingredients! I am a Mac n Cheese Junkie! This looks amazing! I LOVE mushrooms so anytime I get to throw it into a dish I’m on board. Plus that truffle sea salt is totally calling my name. This looks really yummy! I would skip the mushrooms as I am not a fan. My husband would love the mushrooms though. Delicious! Do you think this could be cooked in the crockpot? That looks so rich, creamy, and delicious!! Can you send me a bowl? 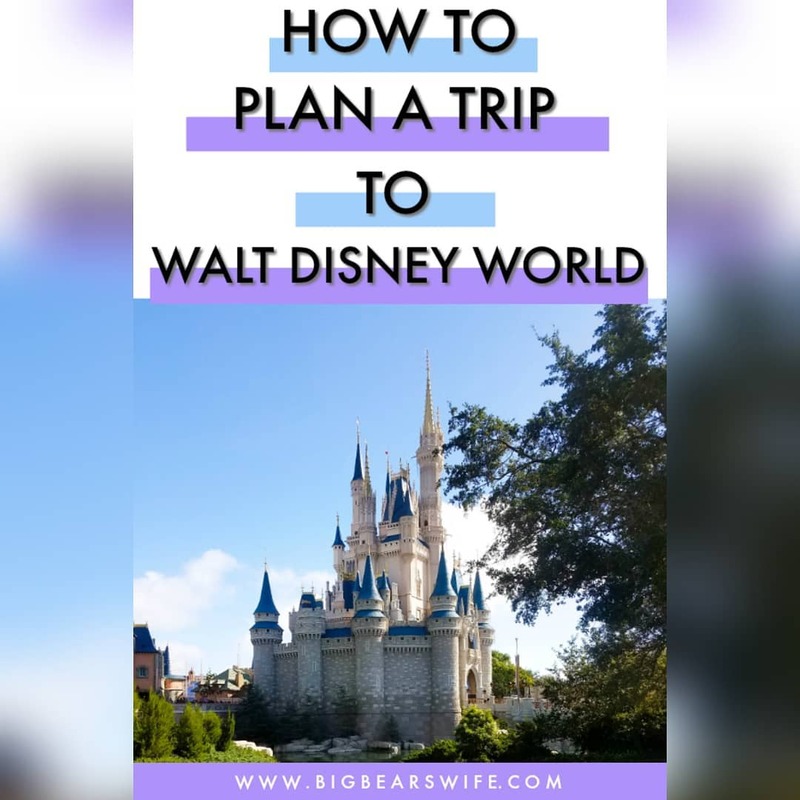 You had me at Disney! Ha ha. This looks phenomenal! I want to make it and add bacon. Yummmmm! I have never seen anything more delicious looking in my whole life. I about came through my computer to eat this. I love all of the things in this dish. YUM! This looks absolutely amazing – anything with cheese and mushrooms, I am in! My son would absolutely love this pasta, he is a pasta freak! I can’t eat pasta but I am sure interested in that truffle sea salt! Yum! Wow. This sounds delicious. I have bookmarked the page for my husband who is a mac and cheese maniac. This looks and sounds so delicious! Wish we could eat more mac ‘n cheese (son has a sensitivity that involves most cheeses). The name is a mouthful and it looks delicious. Especially with the addition of mushrooms. This sounds amazing! My husband would love it.. Gonna throw it on the menu for next week! Oh…my….goodness. Now, I don’t usually make my own mac & cheese. But this….oh this could totally change my mind about that! I love all of these things! White cheddar and mushrooms? Sign me up! I wish you could hand me a fork too! Looks delicious! Ooo, that truffle salt is calling my name! Yes too all of that. A million times, yes! 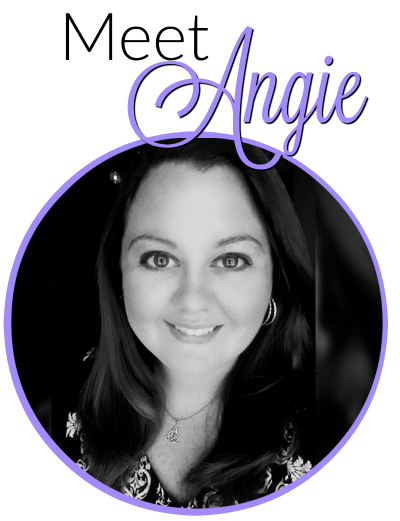 Angie this looks so creamy and rich, I am completely in love with this recipe. And there’s nothing like a good salt. Next time I’m in the states I’ll have to look for it. I seriously just tried to lick my screen! Want this SO BAD. That looks delicious! your pictures are amazing as well! i am allergic to just about anything there is– if it’s from a box or can likely hood is i can’t have it. i have to make everything from scratch and after a while of using the same recipes for pretty much two years, it’s nice to find something so tasteful that i can actually eat. 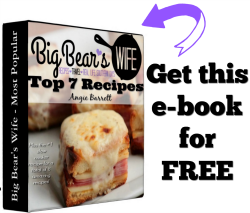 This recipe is delicious and a huge hit with my family, ill definitely be adding it to my recipe book and making it again. Yay! I’m go glad you liked it! !